Science vs Faith: ‘There Is No Heaven,’ Says Stephen Hawking | What's Next God? Good evening everyone! I hope everyone is doing well this evening! I was reading the news online today and I came across this article. Now I know I haven’t been doing a lot of original writing lately, but I really want to know what you all think about this. Science vs Faith.. I really dislike when scientists try and take away, or even change our (Christians) faith. Scientists for years have tried to prove that there Heaven doesn’t exist, that Jesus didn’t rise from the grave etc.. Faith is Faith.. We believe in it. For some Christians, I can understand wanting to have proof, but where is your faith when you do that? For me, I believe in the Bible, and what IT says. I don’t need proof. Science can try and proof this or that, but you will Never take my faith away. Below is the article I am mentioning that I found on MSNBC. Stephen Hawking, the famous British physicist, called the notion of heaven a “fairy story” in an interview with The Guardian newspaper published today. The physicist, 69, who was diagnosed with A.L.S. at age 21, made the heaven comment in response to a question about his fears of death. The comments are seen as going beyond those in his 2010 book, “The Grand Design,” which stirred up passions with the observation that science can explain the universe’s origin without invoking God. Hawking has far outlived most people who have A.L.S., also known as Lou Gehrig’s disease, producing important cosmological research and writing books. His “A Brief History of Time,” published in 1988, has sold more than 9 million copies. The Guardian interview is the latest the scientist has given to news media in recent weeks. It is published the day before he is scheduled to address the question “Why are we here?” at the Google Zeitgeist meeting in London. In the talk, according to The Guardian, he will argue that the tiny fluctuations in the very early universe became the seeds from which galaxies, stars, and ultimately human life emerged. “Science predicts that many different kinds of universe will be spontaneously created out of nothing. It is a matter of chance which we are in,” he said. By you stating what you said, above, and actualy even giving your opinion, when you know NOTHING! ..Tells me, that in London, anyone can become an famous British physicist,…and then to be little your self online to the whole world? WHO DOES THAT? 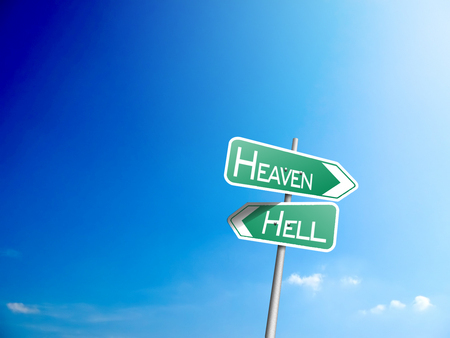 If you had any kind of talent or brain you would know that HEAVEN&HELL are very real! read a bible! instead of wasting your time doing worthless studies, just try it! you have tried ugly things of this world, so why not? if u r realy as smart as you say u are, then as soon as u read that bible it will come to you! but u better hurry before its to late! remember “ETERNITY” is a long time, and you dont want to spend it in hell! like i said read the bible, it is alive and will help u ! the bible is filled with life , it has no errors! no not one!…….and anything that contriditds the bible, is STRAIGHT OUT WRONG!